"A fine hand painted Derby porcelain cabinet plate painted by Royal Crown Derby artist Albert Gregory. A wonderful example of finest antique porcelain china by one of the greatest ever ceramic artists. 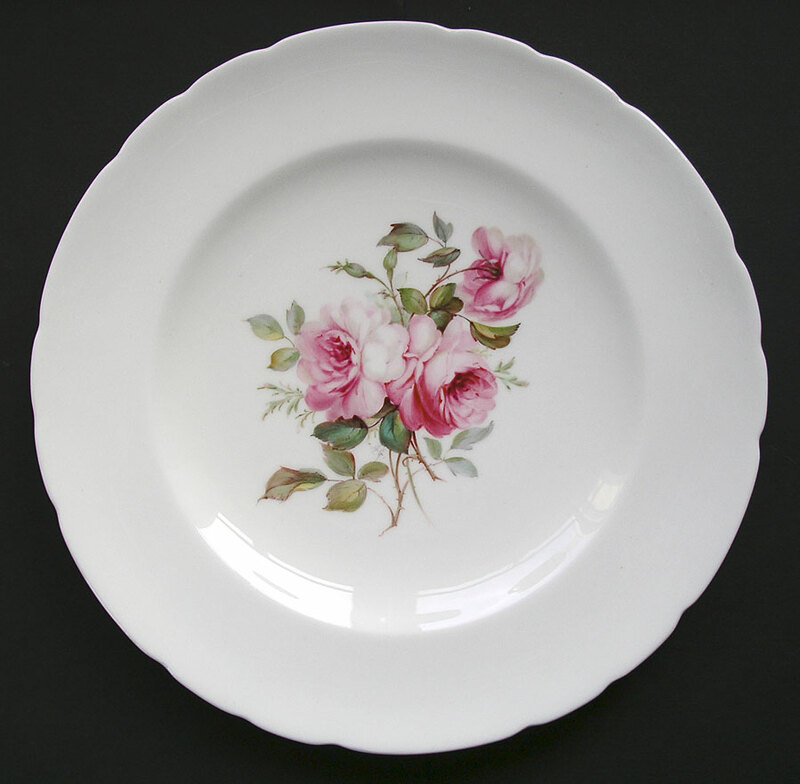 Decoration is a beautifully balanced Rose Spray pattern with three flower heads filling the milky white porcelain blank plate to great effect. 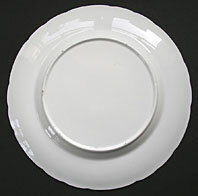 The lobed porcelain blank is impressed "DERBY" together with the date of manufacture, May 1904. It was made at the Royal Crown Derby works or the King Street Derby works of Sampson Hancock. Signed cabinet pieces by Albert Gregory are among the very best of English china. A lovely item for the lover of fine English porcelain and antiques!" Antiques Expert Hamilton Bear. Dimensions: width 230 mm max. Marks: Signed by the artist Albert Gregory, "A. G" to front, plus impressed Derby mark and date code for May 1904. Condition: In excellent, finest, display condition. Free from any significant damage or defects and without restoration. There is a chip to footrim and two further smaller glazed over footrim chips caused by the removal of kiln furniture during stages of firing.